Commissioning. Guest Speaker: Bishop Edgar L. Vann. Guest Psalmist: Peggy James. 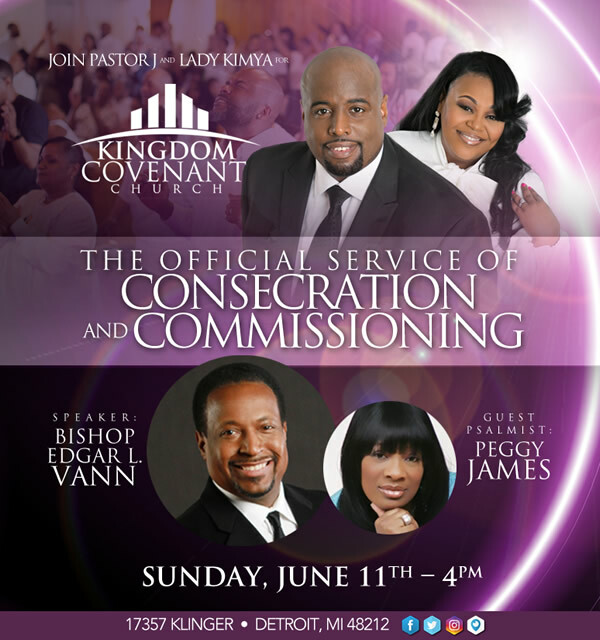 At Kingdom Covenant Church, 17357 Klinger, Detroit, MI 48212.